Leo Bracaliello, a 2-year-old child who has been diagnosed with autism, sits cross-legged on his white carpet, his big blue eyes fixated on the face of a robot, singing in monotone, “If you’re happy and you know it…” When the song finishes, Leo mumbles to his mother, “Again.” The robot obliges. It was one of Leo’s first sessions with Kaspar, a social robot on loan from the nearby University of Hertfordshire in England. Only a few of those early sit-downs resulted in what scientists call “gaze following,” a critical first step for social exchange that autistic children often have difficulty with. But in six months of hosting his mechanical friend, Leo began to memorize the robot’s gestures, songs and phrases and became increasingly excited by its games. About one in every 160 children in the world has autism, estimates the World Health Organization. While the condition covers a vast range of behaviors, it is generally characterized by some degree of impaired social behavior, communication and language, as well as a tendency toward a narrow range of interests and activities—all of which, say many therapists, robots have helped alleviate. Kaspar’s sentences, gestures and songs are basic. They are meant to assist children on all points of the autism spectrum in learning scripts for interacting with people, which they can draw on in real life. The robot also helps teach social imagination, or the ability to understand, explain and predict what is happening in someone else’s mind—a daunting challenge for autistic children. 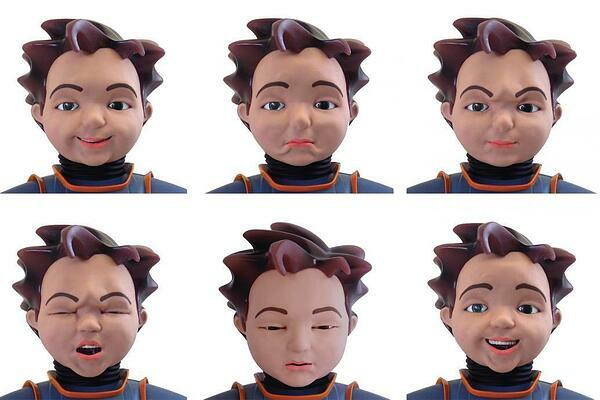 To teach this skill, Robins has the robot demonstrate emotions like “fear” or “happiness,” while the child voluntarily interacts with the robot. Robots have their detractors. Sara Luterman, a Washington, D.C.-based autism advocate and editor of the online autism community magazine NOS, believes robots are “a flashy and expensive waste of money” that could divert resources and attention from more pressing needs, such as mental health care and housing. Debbieanne Robinson disagrees. Her 5-year-old autistic son, Matthew, saw a social robot called Milo on television one night, and his eyes “lit up,” she says. She paid the Dallas manufacturer, Robokind, $5,000 to get one of the robots delivered. As she recounts the story in her home in Uxbridge, a suburb of London, Matthew is playing a game with Milo designed to teach the difference between the greetings hello, hi and hey. He bursts into laughter at the robot’s antics.